With the holidays fast approaching, you're bound to have two things in abundance: empty boxes and rambunctious kids. 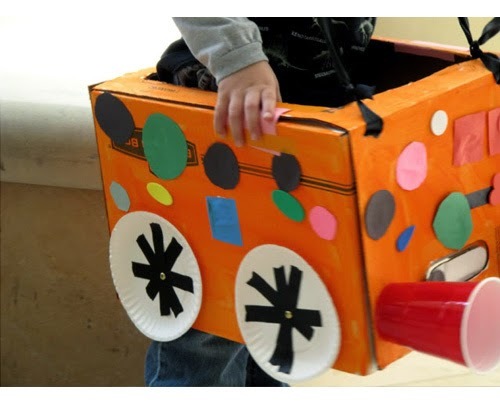 Put them both to use by making cardboard cars to take into Stanley's Garage! First, cut off the bottom and top flaps of the box so that it fits over your child's head. Glue or tape two paper plates on either side of the box to make wheels. Glue or tape your two Solo cups on the front of your box to make headlights. Finally, cut two strips of ribbon and attach them to the front and back of the box to make straps. Measure them so that the box hangs from your child's shoulders. Give that car a custom paint job! 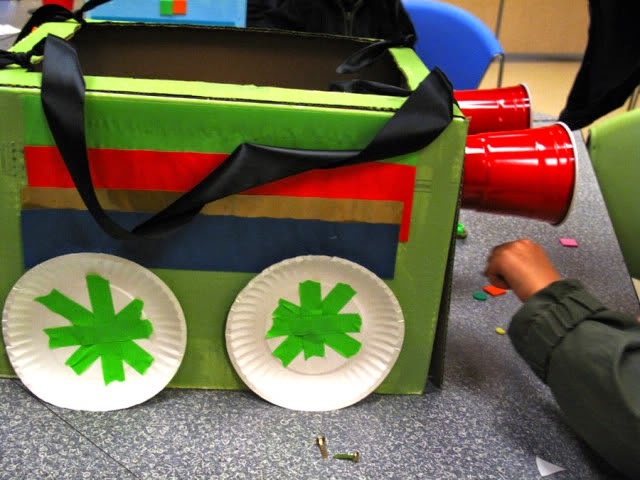 You can finger-paint it, glue on construction paper patterns, or even make designs from your colored tape. Be creative! Beep! Beep! You're ready for the open road!